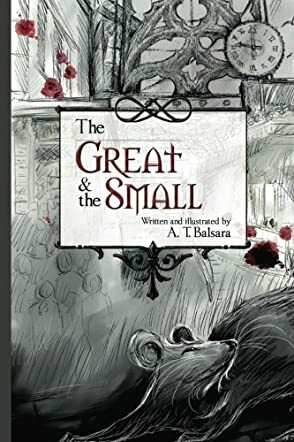 In the process of telling the story of The Great and the Small, author A.T. Balsara gives us many details about the real-life plague that took place in the 1300s. Rats were apparently involved in the spreading of that sickness. Having that as a foundation for the war that happens in the story added to its strong emotional impact. At the same time, the fact that 70% of the story is told from the point of view of talking rats keeps it from getting overly heavy. Some might not like the combination of the fantasy elements with the tragedy of war. But, for me, it worked brilliantly. I would normally not read a book about the horrors of war, but I enjoyed this one. I think that is because A.T. Balsara did such a good job of bringing the rats to life. They had just the right amount of human characteristics to make them relatable, yet they still acted and behaved like rats. They live in nests instead of houses. They nuzzle each other rather than kiss, etc. I’m not sure if the main goal in writing this book was to preach a cautionary tale about war, or if it was to tell a story about cute and cuddly animal characters that talk. Whatever A.T. Balsara's intent was doesn’t matter now. The result is an extraordinary book that is mesmerizing on every level.